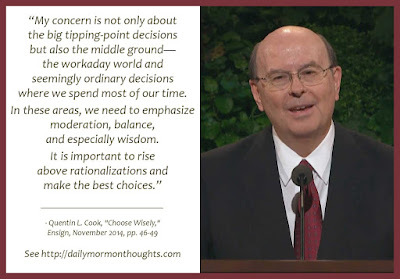 Elder Quentin L. Cook (b. September 8, 1940 - 76 years ago today!) 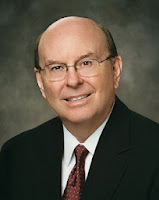 was called as a Seventy in 1996, then as a member of the Quorum of Twelve Apostles in 2007. "My concern is not only about the big tipping-point decisions but also the middle ground—the workaday world and seemingly ordinary decisions where we spend most of our time. In these areas, we need to emphasize moderation, balance, and especially wisdom. It is important to rise above rationalizations and make the best choices." 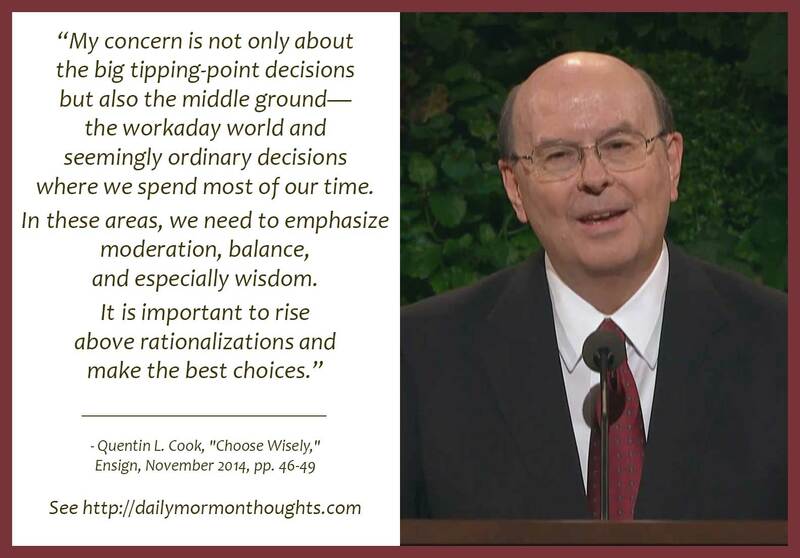 Elder Cook suggests that the time in which we live may have a unique challenge. Because "Satan is raging in the hearts of men in so many new and subtle ways" we have a greater need than ever to be so careful to make our decisions and choices in line with our principles, commitments, and covenants. It's so easy to rationalize our conduct and allow it to fall short of what we truly believe. This danger applies at all levels in our lives—the major decisions as well as the smaller, daily concerns. It is critically important to regularly review those covenants and principles, and then evaluate our performance sincerely and carefully. This should lead to repentance where needed, but also to insights about how to be more faithful and committed.